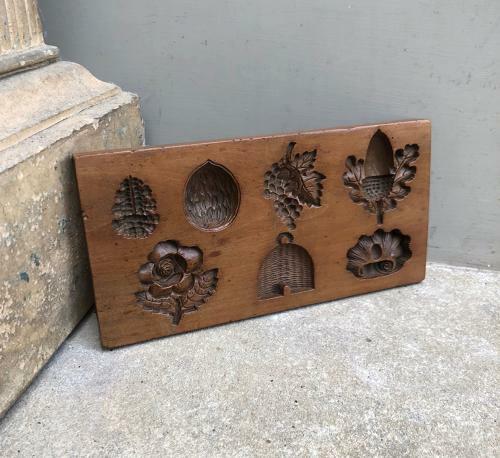 Superb Victorian Treen Carved Fruitwood Confectionary Moulds. Wonderful detail and quality carving...beehive, nuts etc. Lovely colour & patina. Given as a Love Token as an arrowed heart to the back.